If you’re in the US, and you don’t have a million bucks to spend, the go-to choice for PCBs is usually OSHPark. OSHPark rocks. 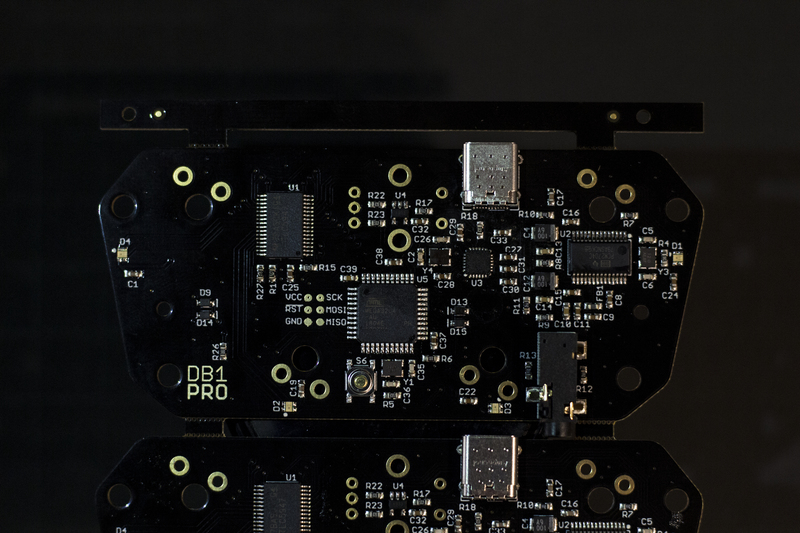 There is no minimum spend (you can literally order 3 copies of a $1 board if you want to), no minimum board quantity, and the fab tech is decent for 2/4 layer boards. I myself have ordered more boards from OSHPark than I can count, both for work and for my own projects. OSHPark is great for standard quick-turn style jobs, and is slowly adding more options, like 2oz copper and their “super swift service”, which is really just an expedited option. But what if you want something special? Aluminum-backed, for example? Or 6+ layers? These options start to fall out of the standard quick-turn price range, which means expensive, nonstandard order from local PCB manufacturers. PCBWay is a China-based PCB fab and assembly house that I used for the first time around 2 years ago. Similar to OSHPark, they offer affordable pricing on basic boards (2/4 layer, 6/6 trace and spacing, etc). They have a nice online quoting tool where you can set your board specs and add options to get a quick idea of time and cost. 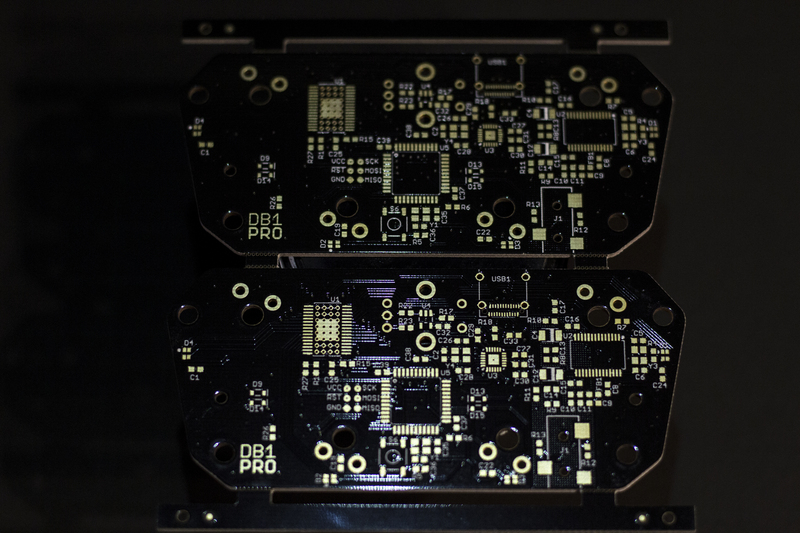 They also support a pretty solid set of PCB specs and options, including Flex PCBs, Aluminum-backed PCBs, multilayer (10+), and a multitude of silkscreen colors, dielectrics, and plating options. A big bonus is the availability of fast shipping through DHL. PCBWay has also recently pushed out an EAGLE upload conversion tool, which is a great way to avoid generating gerber files if you use EAGLE. Boards usually show up within 2-3 days of shipping, which is insanely fast coming from literally across the world. PCB quality is great. I’ve ordered several boards over the span of the last few years, all with different options, and I’ve been impressed. If you stick to the standard options (6 mil min. 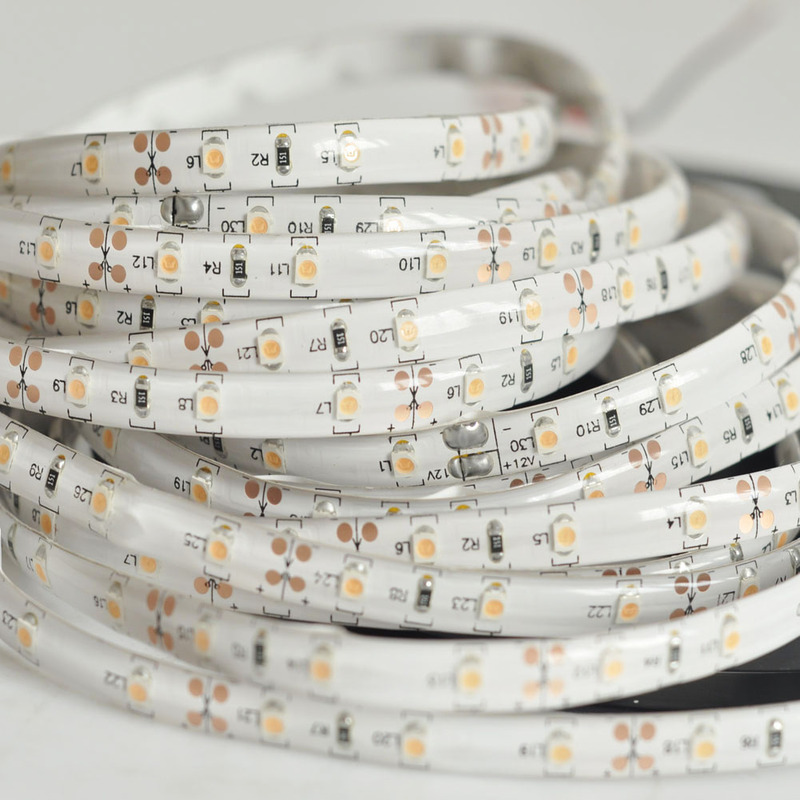 traces and spacing, 0.3mm via), the boards are affordable and very high quality. The copper features are well-formed, and I haven’t seen any breaks or shorts due to masking errors in the boards I’ve purchased. Silk comes out good, assuming you follow the general rules for silk. Soldermask varies a bit based on color, specifically when it comes to hardness. If you plan to do a lot of manual reworks, or durability is important to you, I’d stick to the standard green. 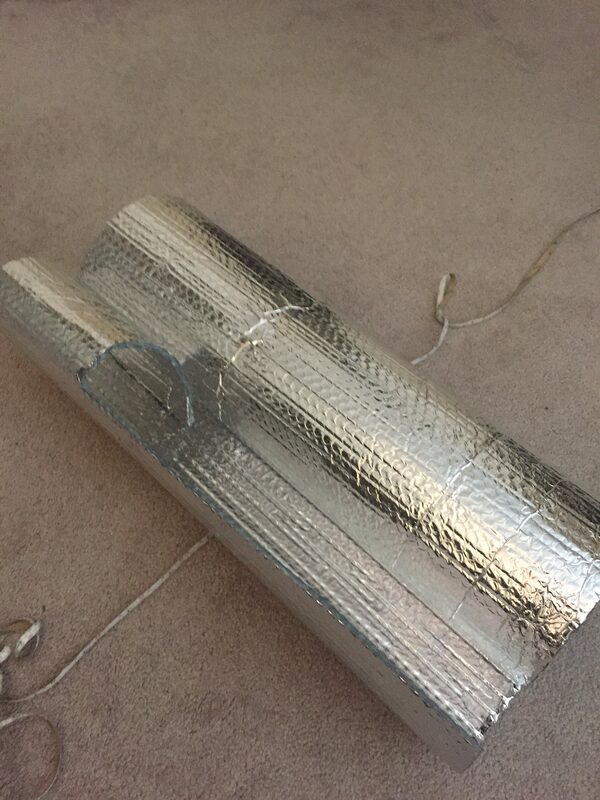 In my experience, white and other lighter colored soldermasks can be a bit soft. Now let’s talk about board assembly. 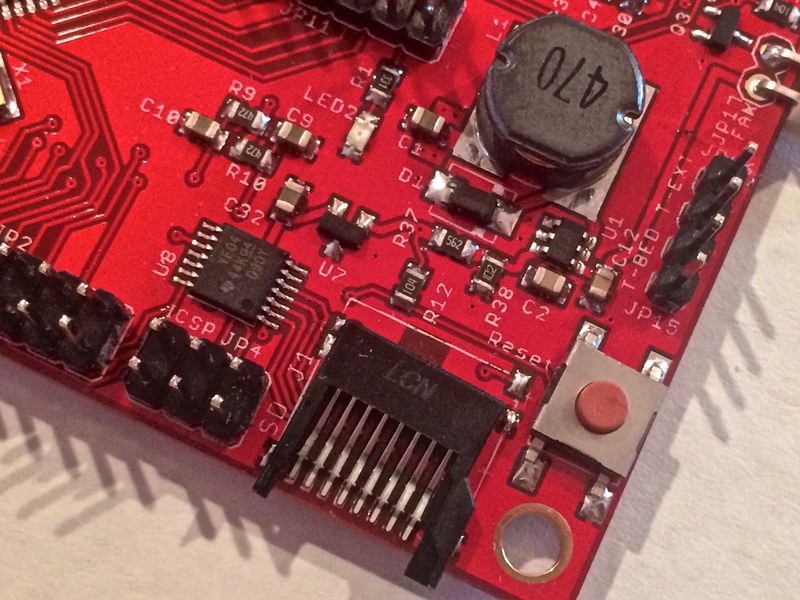 Assembly is a notoriously expensive process for prototype boards because of the upfront costs. Board houses don’t want to set up their SMT line for your 10-board run. There are houses which specialize in fast prototype runs, but the caveat is that these are usually extremely expensive or rely on inking a deal for large-scale production after the prototypes have been made. 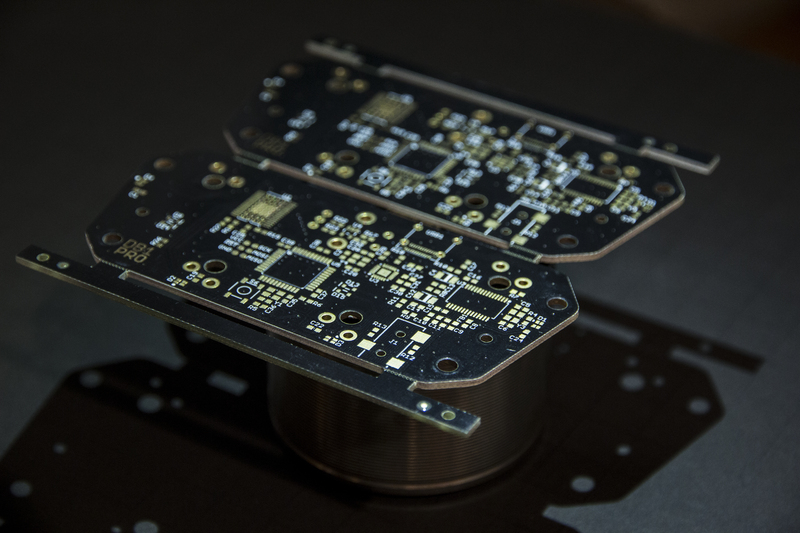 There are plenty of companies that can afford to roll their upfront R&D costs down into the price of the product once it’s mass-produced, but usually SMT assembly is out of reach for small operations or anyone without at least several thousands of dollars in budget. I’ve been working on the design of a product with the eventual goal of listing it on Massdrop. 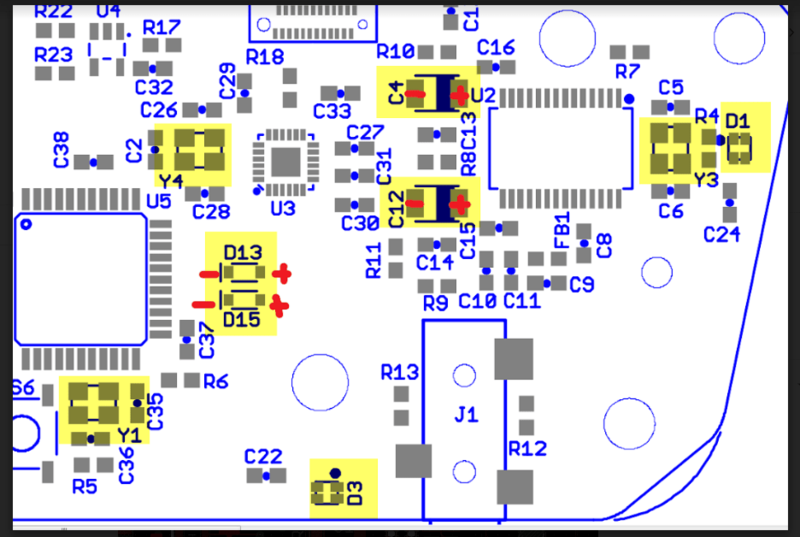 It’s a small board and is fairly dense, with some hard-to-place parts (USB-C connector, 3x3QFN package USB hub chip). I ordered the first proto PCB from OSHPark and hand-soldered it, and it became pretty obvious I was going to have to find a more sustainable solution for the next run of prototypes. The board itself is just under 100 individual components, with placements on both sides, and no through-holes. I decided to give the PCBWay assembly a try, since their offering seemed like a good fit and is extremely affordable. I decided I’d specify components and distributor in the BOM and let them purchase components. You can also drop-ship components or mail them directly to them. As an aside, I’ve got a reasonable amount of experience designing PCBs and in particular, following DFM (design for manufacturability) rules. Following these rules, some of which I’ll detail below, help ensure that the board is easily manufactured and will work when you receive it. The easier it is for an assembler to make your board, it’ll be lower cost with higher yields. Don’t panic if you’re not aware or familiar with these rules, but I would suggest getting familiar before starting a PCB assembly order with any assembler. This project in particular, I benefitted greatly from sticking to DFM rules. Some PCB design/assembly DFM rules. These are just some of the bigger ones. For a more complete list, check out this document. Place large components, like connectors or ICs, on one side of the board (generally designated the top). 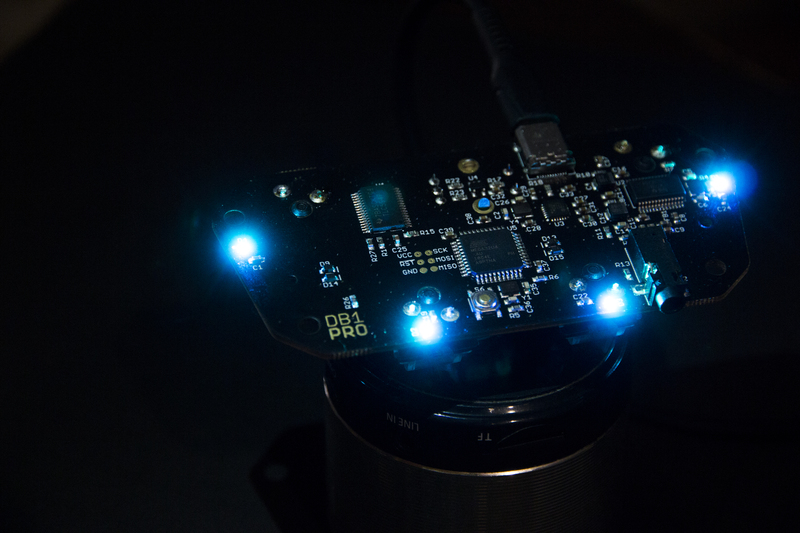 Place only small & light components, like passives and SMT LEDs, on the bottom side. Keep all SMT items a minimum distance from the board edge, generally 3mm. 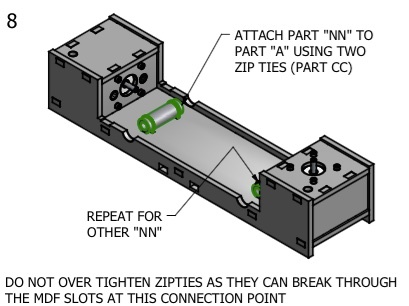 Exceptions can be made for items like connectors, but your boards will probably need to be panelized (something PCBWay will happily handle for you). Keep SMT items a minimum distance from each other. This distance varies based on the assembler and their placement process, but at minimum 1mm is a good place to start. Make sure all part footprints contain pin1 callouts in some form, along with reference designators. Polarized 2pin components should have a + marking on their anode. This helps assemblers determine rotation, and also allows them to easily identify parts if they need to ask questions. Ensure (no, really, like your life depends on it) that your BOM is well-detailed and contains specific part numbers along with component descriptions, preferred distributor, distributor PN, and matching reference designators on the PCB. 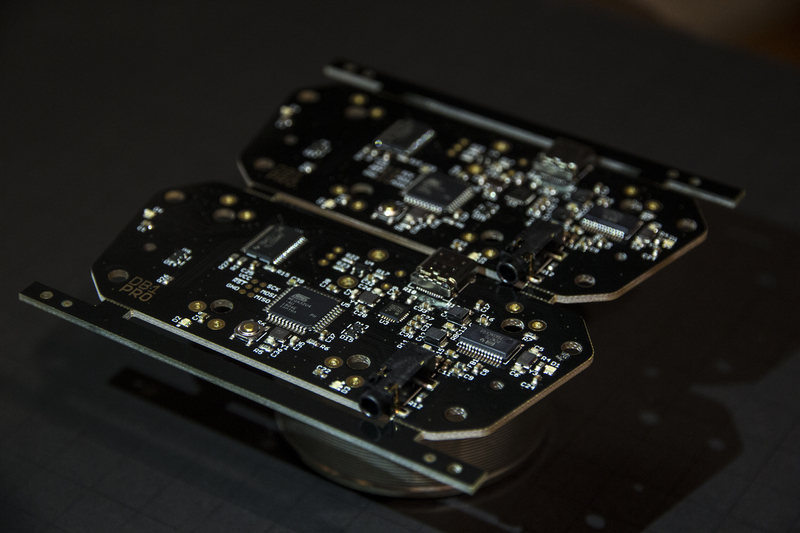 A good BOM will save you hours of headache, and providing a good BOM to PCBWay will actually lower your quoted price, because it reduces work and risk on their end. The hardest part about assembling a board (or designing one to be assembled, for that matter), is getting the small details right. That’s why putting some thought into how your board is going to go together goes a long way. 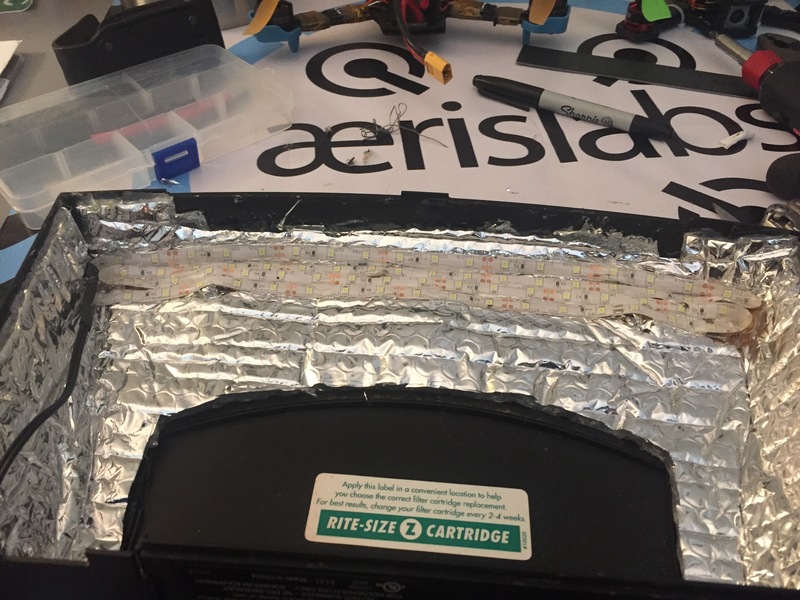 If there is a chance that a part goes on backward (a diode, LED, or polarized cap), put a marking on the silkscreen to make it clear which way the part should be placed. If you have the room, space your components out more than you need to. It’s also a good idea to make a list of the possible mistakes that would be ‘deal-breakers’ and share these with the assembler before your board is put together. A little bit of thought early on can save you a lot of headache. To this end, I was very impressed with PCBWay’s ability to ask questions when there were ambiguities. I received several emails with questions around component placements and polarities. Each email was well-worded and contained a marked screenshot of the PCB along with the component in question. It was easy enough to clear up any uncertainty. In addition, they send ‘approval’ images of the first PCB that comes off their line, so that you can do a rough scan for errors or mistakes. Both of these lead to excellent results; 100% of the assembled PCBs I received were built correctly and were fully functional. Not bad! 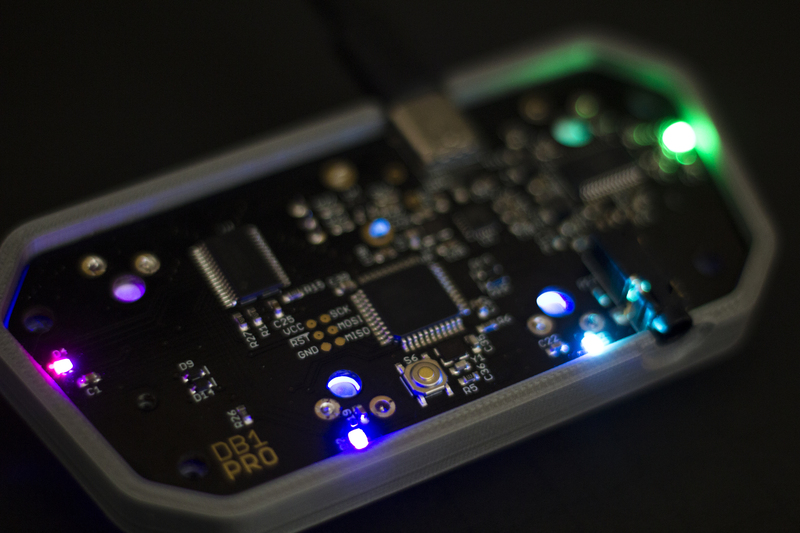 As mentioned earlier, once the PCBs shipped they arrived stateside quickly with no hassle from customs. DHL is slightly more expensive as a shipping option, but in my experience it’s worth every penny spent. Questions? Do you have an experience working with PCBWay? Leave a comment below. My buddy recently decided he wanted to watercool his Asus GTX1070. There’s only two real choices: the NZXT G12 bracket (which replace the stock cooler) and the Corsair HG10 N980. The HG10 isn’t actually made for the 10 series, but is apparently easily modified to clear the VRM caps using some power tools. The G12 claims full compatibility with 1070 series cards, so he went with that. He also picked up a Corsair H75 which is fully compatible with the G12 bracket. 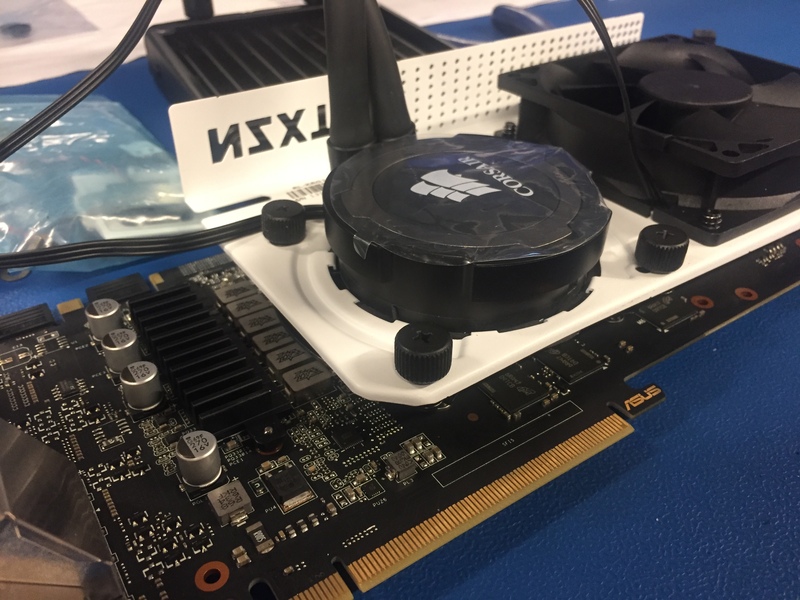 After taking the stock cooler off, it was immediately clear that the VRM caps were going to interfere with the curved standoffs the G12 uses to mount to the card. Nothing a little grinding can’t fix! With a file, some thin washers, and about 15 minutes, it’s easy to modify the G12 to fit this specific card. 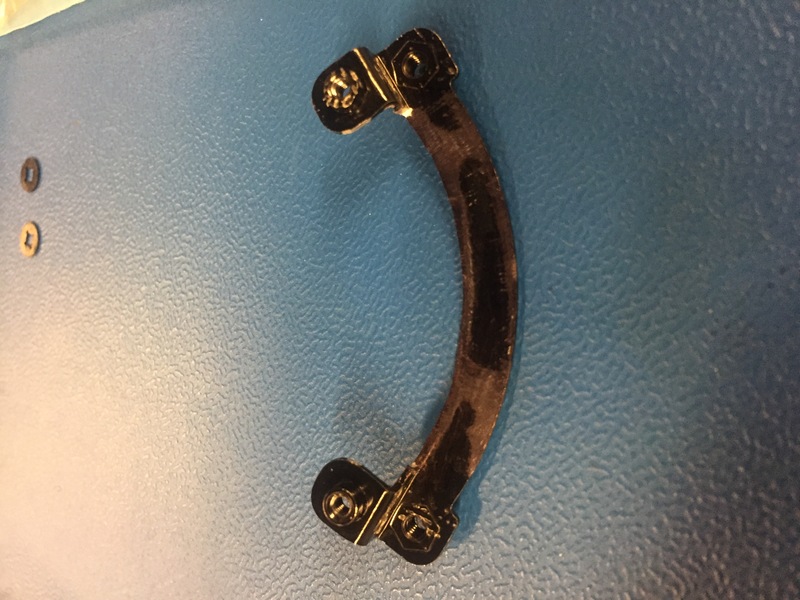 The main issue here is the flanged lip visible on the bracket below. It hits the top of the VRM caps. We started by grinding the lip off using a metal file. This only took about 3 minutes; the brackets are relatively soft. A bit of black sharpie afterward covered it up well enough (these two brackets aren’t visible once the cover is in place). 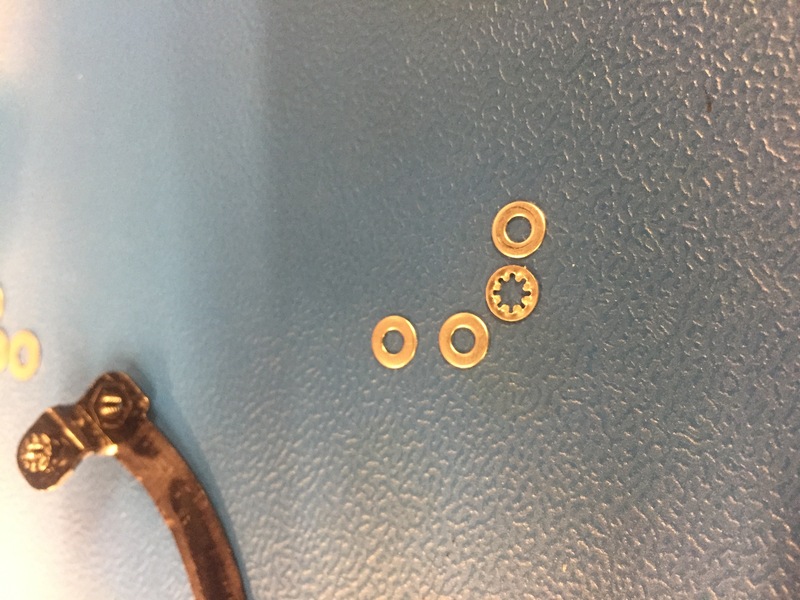 We also added some very thin washers between the bracket and the topside of the PCB to add the slight extra bit of offset needed to clear the caps. They’re no more than 0.5mm thick. After making these two changes, everything fit just like it should. We added a thin ring of foam between the white bracket and the H75 to make up for the width the thin washers add, but I think you could get away without doing this. That’s it! 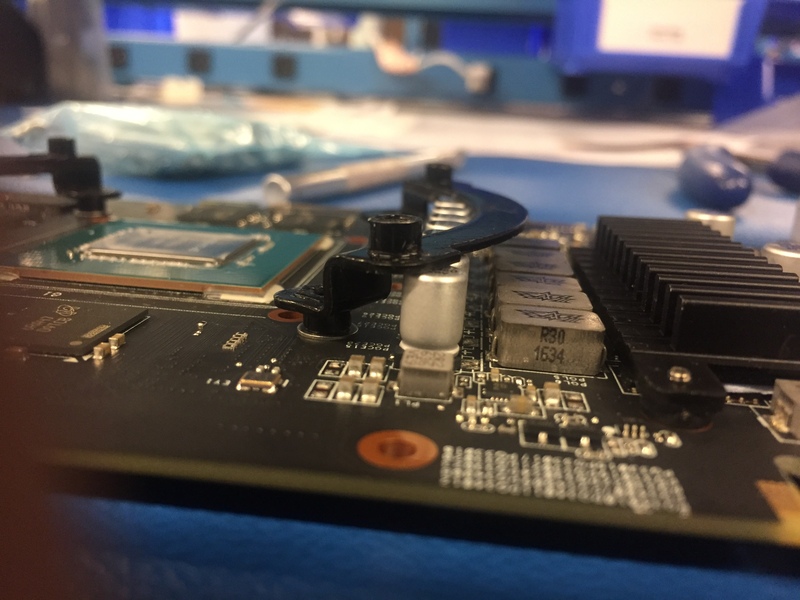 Note that when you’re putting this bracket on, with or without this mod, you should only tighten the thumbscrews until you see the card flex ever so slightly. Once you see this, back each thumbscrew off by about 1 full turn. 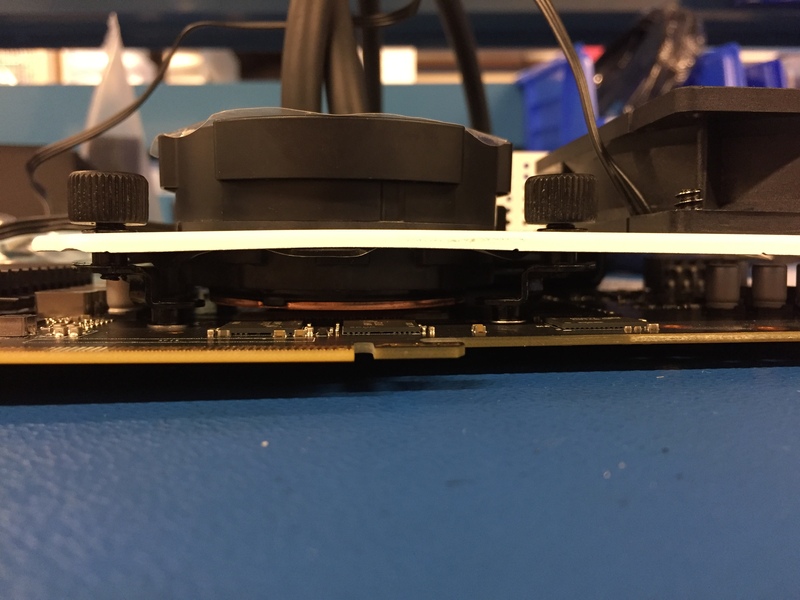 The cooler does not need to be pressed tightly against the die; over-tightening the cooler will put unnecessary strain on the PCB and components and can lead to premature failure of the card due to thermal cycling. 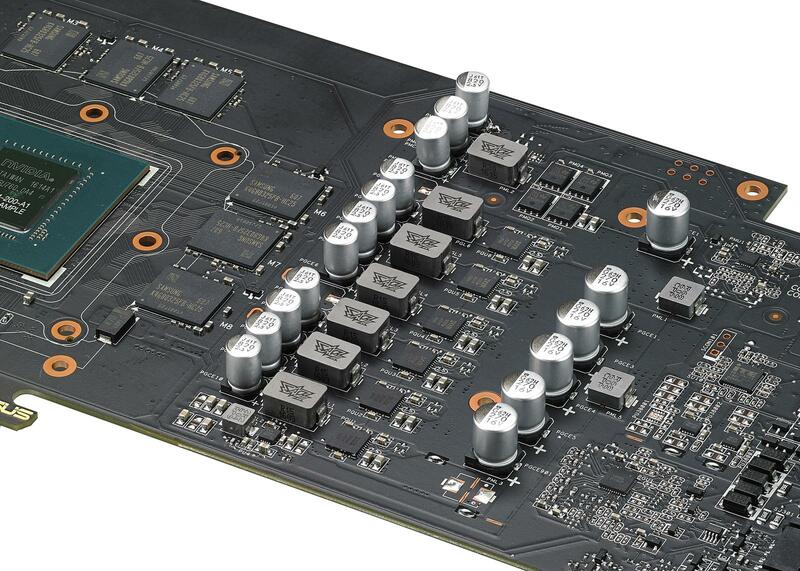 It’s also possible to crack or damage the GPU die. // this should usually not change unless faster / slower response is desired. // aux1 channel starts on if this is defined, otherwise off. 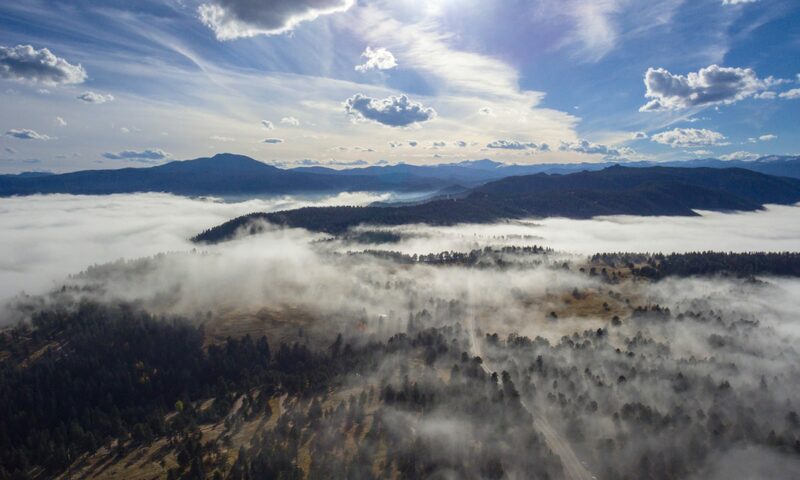 I’m a Senior at the University of Colorado, earning a Bachelors Degree in Electrical Engineering. While working on our senior capstone project, my team has used done enough 3D printing for me to consider purchasing one myself. 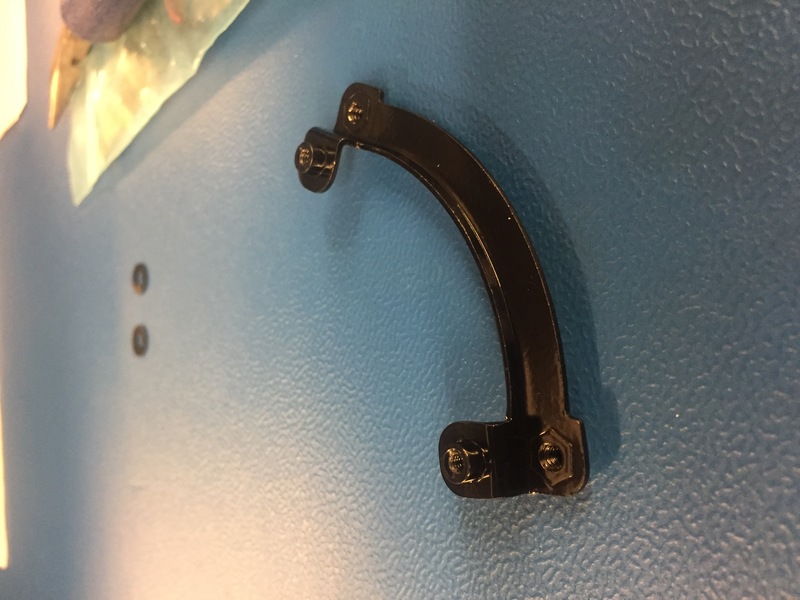 One of my teammates has access to an expensive Stratasys Objet, which has amazing print quality but costs an arm and a leg to fill with resin, and is always in use since it’s owned by the company he works for. After following the 3D printing buzz for several years, I decided now would be a good time to jump in. Printers are affordable and easy to get ahold of, and there are plenty of brands and models to choose from. I’d been researching different printers for a while, so I had an idea of what type of printer I wanted to invest in. 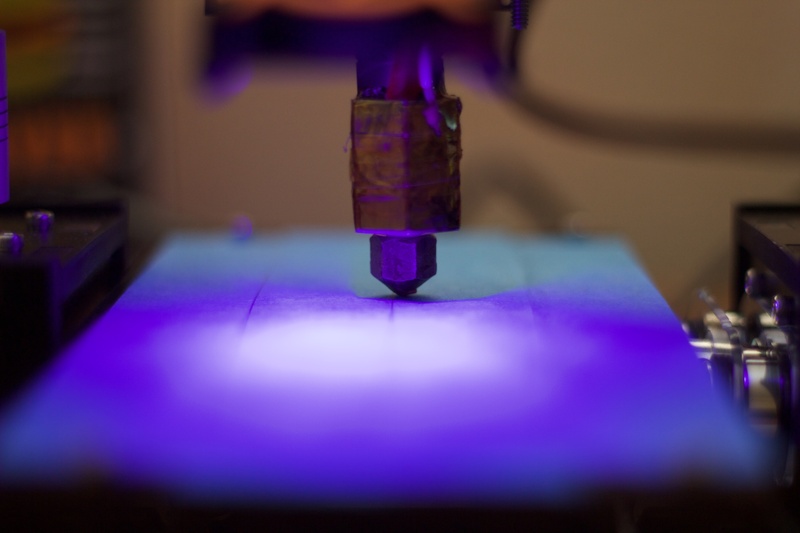 I liked the early MakerBots, but their push to closed-source consumer turned me off. The formlabs form1 is a beautiful and very capable printer, but the cost is too high, and I’d like something that I can tinker with. There are a bunch of other printers, like the XYZprinting Da Vinci, that have a great design but have one or two fatal flaws (The Da Vinci, for example, has proprietary filament “cartridges”, which can be manually reloaded but are a apparently a big pain). Eventually, I found a Kickstarter printer that I’d bookmarked about a year back, the QU-BD OneUp. 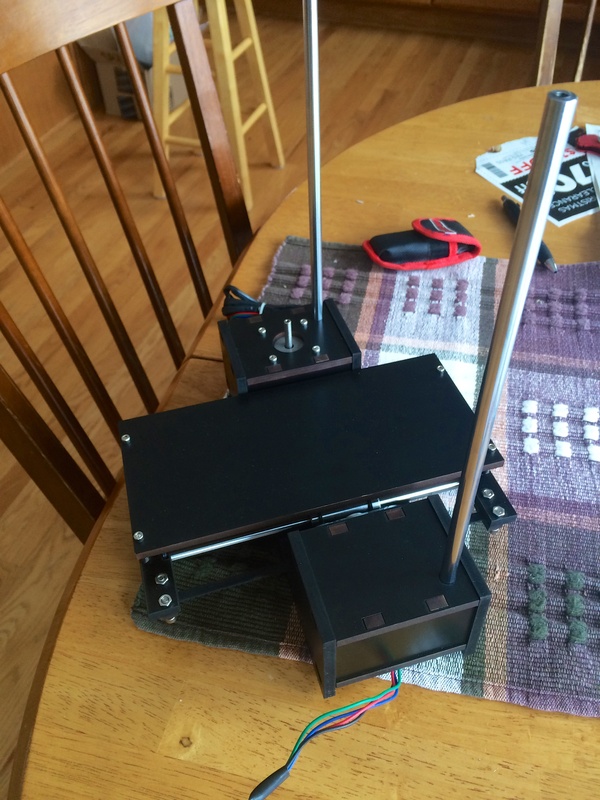 The QU-BD OneUp and TwoUp are the exactly the type of printer I had been looking for: relatively inexpensive, open source, and self-assembled with a large user base and many publicly available improvements and mods. Assembling the printer is a big hurdle for some, but I’m all about it. There’s no better way to figure out how something works that putting it together yourself. It also lends to easier diagnosis and repair when something inevitably doesn’t work right. The reception from the Kickstarter campaign was lukewarm; many early backers were rubbed the wrong way when their printers were long delayed and missing various parts, but those who got their printers assembled were overall pleased with the construction and print quality. I’d read more than a few upset posts on the fabric8r forums regarding poor communication and arguably slimy behavior on part of QU-BD. Much of this behavior I chalked up to needy or whiny Kickstarter backers. At this point, it’s pretty much common knowledge that almost nothing on Kickstarter ships on time. I multiply any promised product ship date by two. Early backers can be entitled and unforgiving when ship dates slip, and I took that into account when reading product reviews. 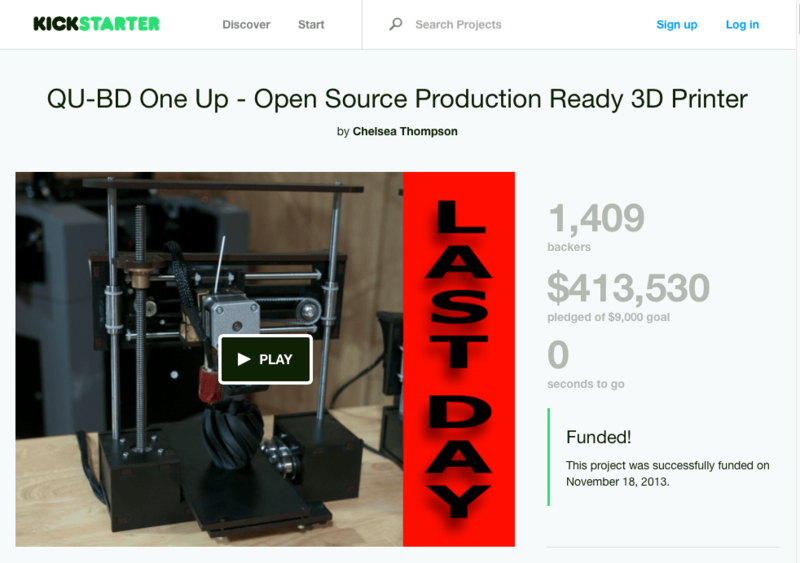 The Kickstarter campaign ended over a year ago, and it appeared that all backers had received their printers. Erring on the side of caution, I decided to spring for the $199 OneUp rather than the $299 TwoUp in the off chance that I did have an unpleasant experience. I ordered my OneUp on November 8th, and QU-BD gave an estimated shipping time of 2-4 weeks. Then came the waiting. Following my rule of thumb, I estimated 6-8 weeks for delivery, and planned on getting my printer as an early Christmas present to myself. After all I’d read, I knew it would be slow to ship. And boy, was it slow to ship. It took just over three weeks for the order to change to the “preparation in progress” stage on December 1st. From there, another 10 days until the order was actually marked as “shipped”. This is one stage in the order process where I can sympathize with some upset customers. When an order is marked as “shipped”, one would assume that means it’s in the mail. Not quite. I don’t know exactly how QU-BD runs their shipping, but I’d guess they pile a bunch of orders together, and then schedule one big pickup date. My order, for example, was marked as shipped on December 11th. The pre-shipment information was sent to USPS on December 12th, but the order wasn’t actually picked up by USPS until the 19th of December. 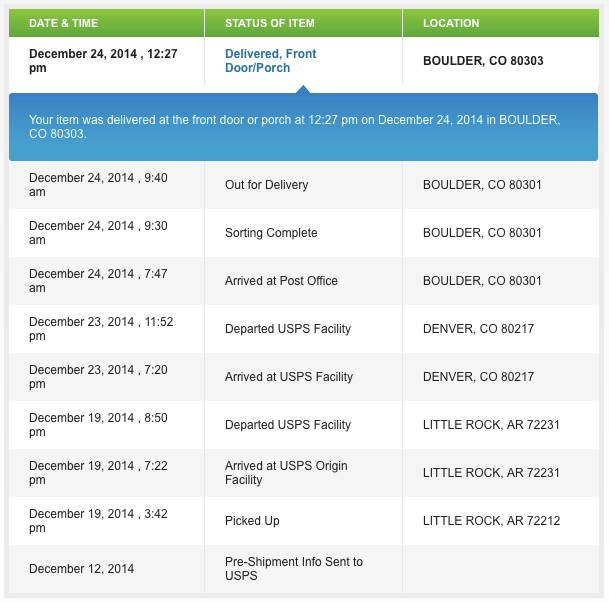 My OneUp was shipped via Priority Mail 2-Day, and was scheduled for delivery by Monday, the 22nd of December. However, I grew concerned when the tracking info wasn’t updated after the initial departure scan. Monday came and went, and (to no one’s surprise), there was no delivery. I suspect the package was knocked to the side at a sorting facility and got ahold of USPS. 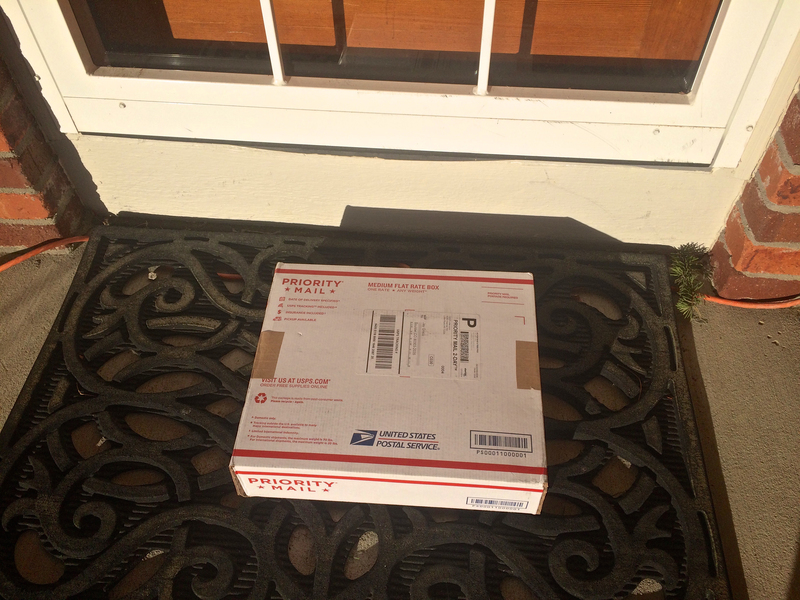 To their credit, the package was found, and was sitting on my front porch come Christmas eve. Here’s my take on QU-BD’s shipping process, which some think might be their biggest weakness. Yes, it’s painfully slow. Was I upset about the shipping time? No. In the end, I got the printer, and the small mix-up in the mail was in no way a fault of QU-BD. In the era of free Amazon 2-day shipping, it’s easy to get spoiled and frustrated with the long lead times and slow shipping of a smaller, family-run company. But you’re paying almost nothing for one of these printers. QU-BD is basically sourcing all of the parts, bundling them together, and shipping them out for less than you, as an individual consumer, could do on your own. Not to mention that lead times on equivalent parts from China would be equal to, if not greater than, the lead time of the printer from QU-BD. These guys are making razor-thin margins on these printers by selling them so cheap. Moreover, from my understanding, there are only a few of them running the whole operation. I absolutely agree that faster shipping times would be nice, but as consumers, we can’t have our cake and eat it too. I could have a comparably-spec’ed printer sitting on my desk tomorrow, shipped with FedEx Next Day Air, but I wouldn’t be paying 200 dollars for it. It would be more like $1500. In the end, if you want a decent, but inexpensive printer, you’ll probably end up waiting a while for it. If you want it right now, it’s going to cost you more, plan and simple. Upon opening the box, I found it very nicely packed. 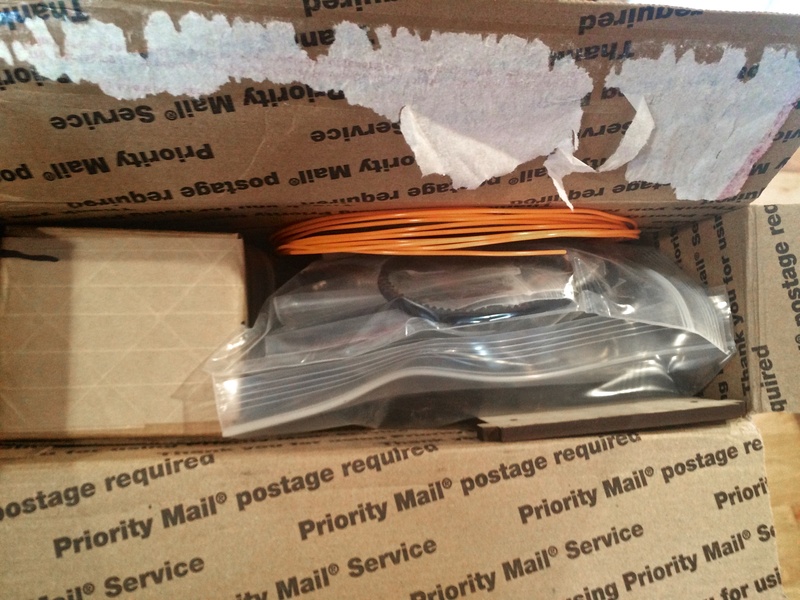 QU-BD is able to fit a surprisingly large amount of parts into the medium flat-rate box they ship in. Nothing has room to shift around too much during shipping, which in theory should keep all the parts intact. That being said, a few of the thinner MDF parts in my kit came fractured. They all snapped at very thin points. None were completely broken, however, so they were saved with a little bit of CA glue. I took a quick inventory, and, as expected, I was missing some parts. 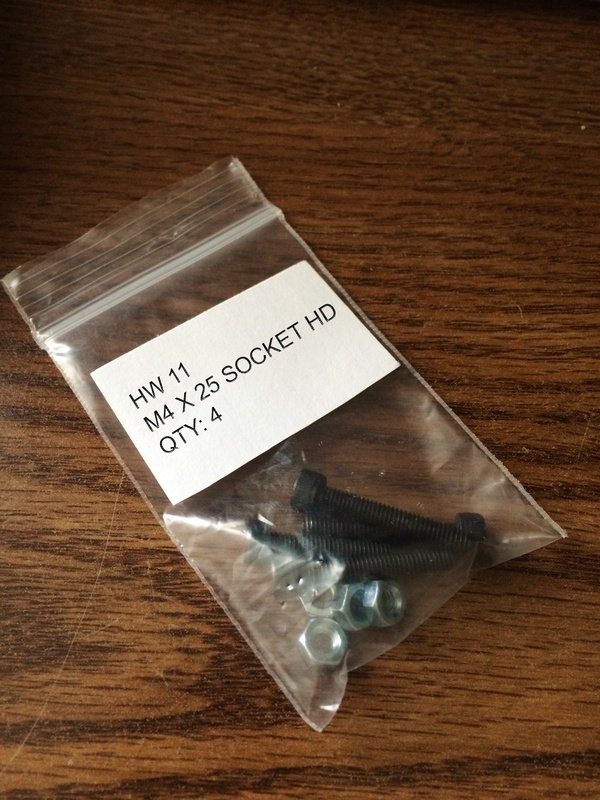 Namely, my kit didn’t have the 6 M3 flat washers or the 4 M4x25 hex head bolts. QU-BD sends out one shipment of missing hardware for free, so I wasn’t too torn up about it. I ended up going to my local hardware store and getting all of the missing parts for less than a buck, since I just wanted to put it together. As many build logs suggested, I cleaned off all of the machined rods and laser cut parts before beginning. 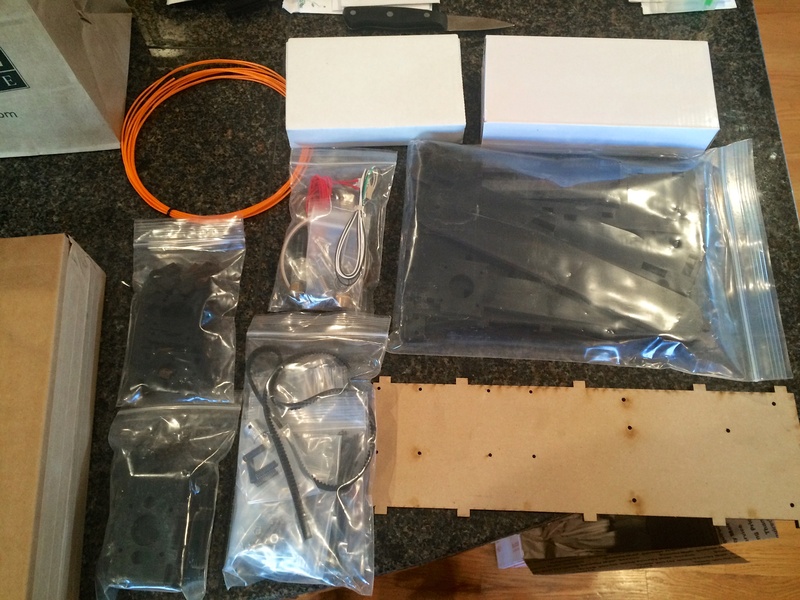 The actual assembly of the printer was, in my honest opinion, a total blast. As a kid who blew through countless Lego sets, it felt very familiar. The instructions are well-made and pretty easy to follow. Some of the ALL CAPS assembly notes feel a bit “yell-ish”, but they did a good job of catching my attention. The part naming convention was also a bit strange, but it’s clear they were named from an engineering perspective. During my assembly, a few simple things came to mind that would really improve the build experience. The first is labeling of individual hardware bags with their part name and designator. I kept having to flip back and forth to the BOM at the beginning of the assembly to verify I was using the correct part. Furthermore, actually identifying the parts inside their bags was a little tricky. I was able to figure out what parts were which using a Bolt Size-It gauge, but some buyers might have a harder time. A laser-printed sticker on each bag would cost almost nothing and make a big difference. 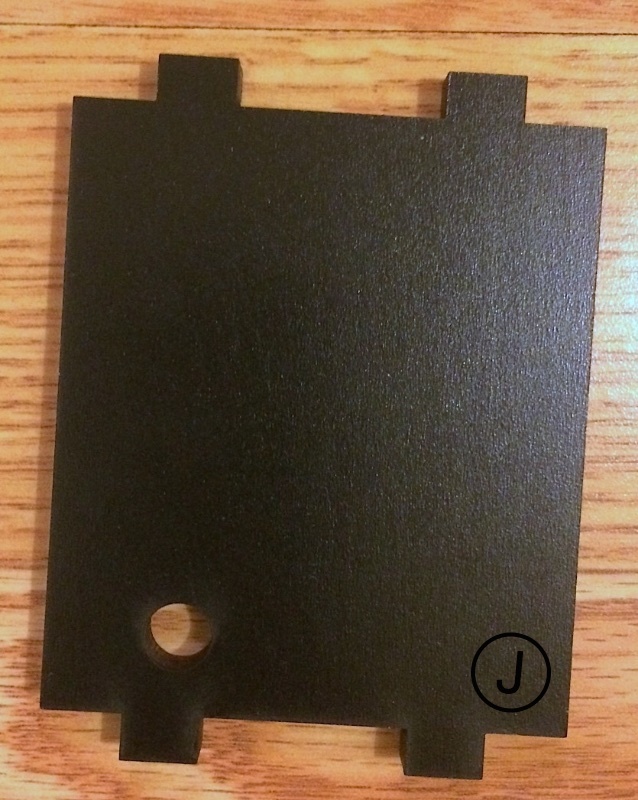 In addition to labeled part bags, a small identifier on each MDF part would be super useful. Depending on the part, this could be etched by the same laser cutting machine QU-BD uses to cut the parts, or a small sticker. Once again, it would be a simple and cheap change, but would really improve the user experience. Lastly, a single-page spreadsheet BOM, either shipped with the parts, or included in the manual would rock. Cross-checking parts against their name and designator would take about half the time as it currently does. Once again, these aren’t deal breakers, but would be easy changes for QU-BD. I have a hunch they might also help QU-BD ship all of the parts in the kit. All in all, assembly went pretty smoothly. I do have a few minor quality gripes. My Geeetech Printrboard clone came with a very poorly soldered SD card slot which probably shouldn’t have made it past QC (assuming they have QC). I have access to a solder reflow station in the lab I work in, so I’m just going to heat it up and fix it myself. Not a huge deal considering the board works flawlessly otherwise. I also had a bit of a laugh at the some of the acrylic parts that ship with the kit. What was my Y-drive cut with, scissors? Again, no loss, since I plan on printing a well-proven Y-drive upgrade on Thingiverse once I get more filament. 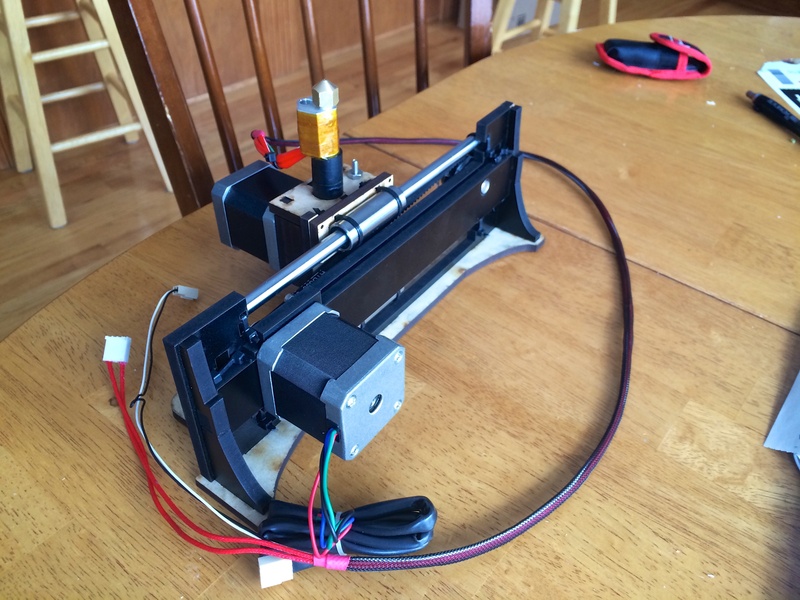 Completed extruder and hotend, attached to the X-drive. I had some 1/8” TechFlex sleeving laying around and covered my extruder and thermistor wires. I really like the look, and it keeps the wires bundled and out of the way. I’m planning on removing the ugly, stiff plastic covering on all of the stepper wires and replacing it with the same sleeving. If it’s one thing this printer design lacks, it’s cable management! Completed base and Y-Drive assembly. Final printer assembly completed! All in all, it took me about 4 hours to assemble the entire printer, barring breaks, distractions, and trips to the hardware store. 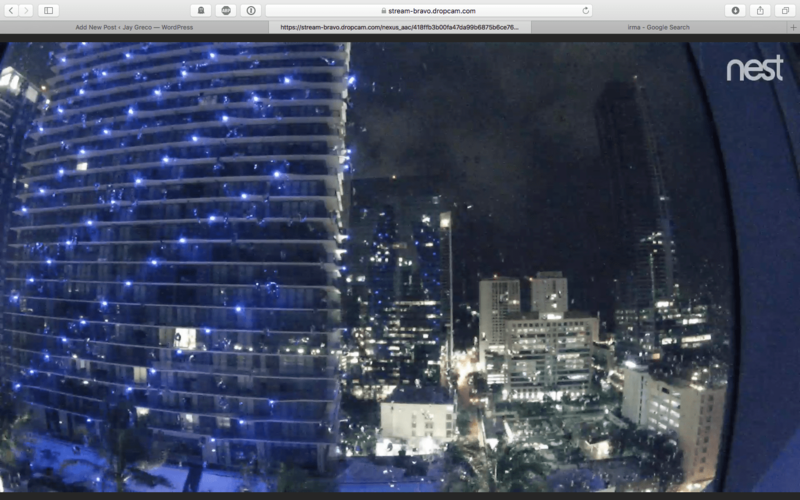 During my ~2 month wait, I’d taken the liberty of setting up Repetier Host and Slic3r on my MacBook. 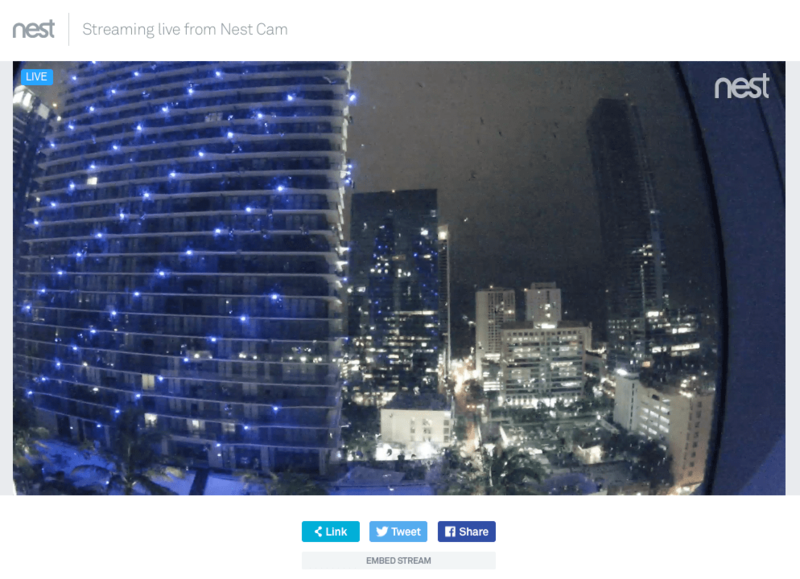 I watched a few YouTube videos   that helped me set up the host software with little trouble. 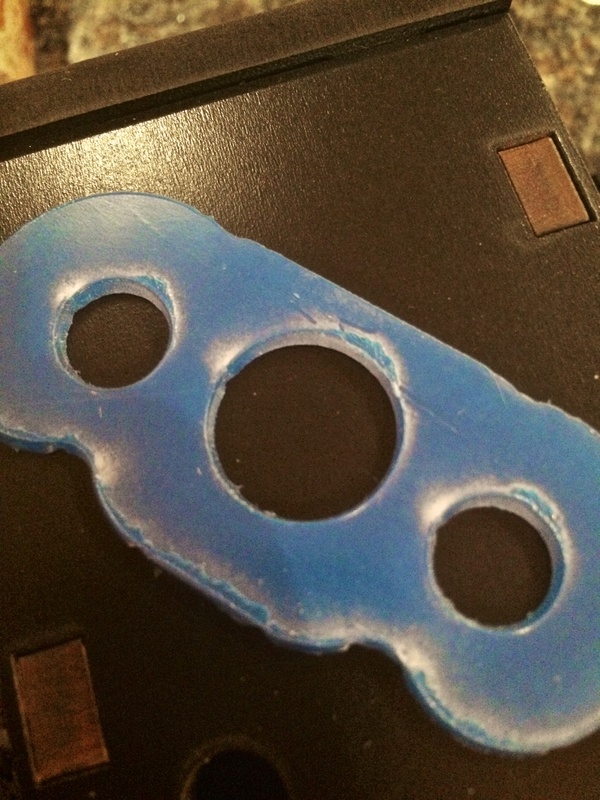 I connected the printer, heated the extruder, fed in some filament, and….nothing came out. 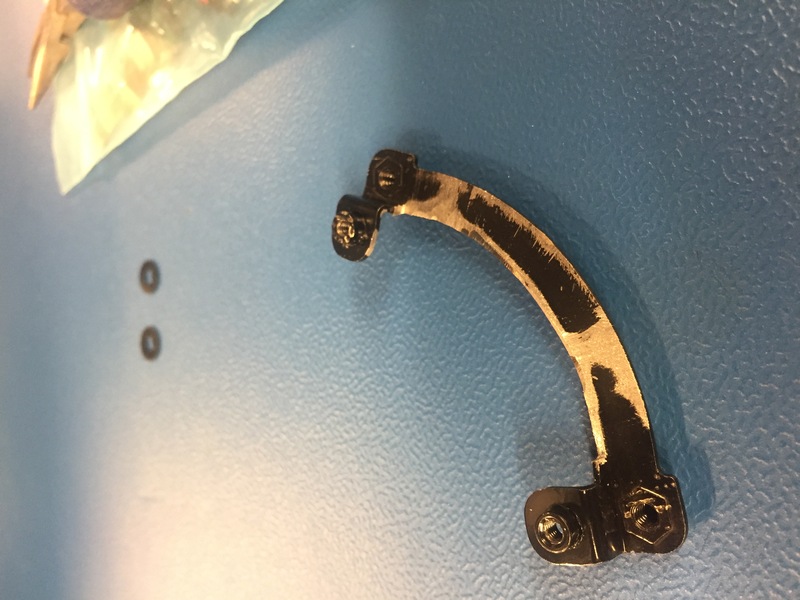 After being sufficiently stumped for about an hour, I took off the extruder nozzle and found it was severely clogged with brass filings from the milling process. It took me forever to unclog it, even with a 400 micron drill bit. I eventually got it unclogged, but in the process, I believe the nozzle was damaged. The hole is slightly larger than the original 0.4mm, and I suspect it’s not perfectly round. I’m hoping that I can get a replacement from QU-BD since, after all, it did come in an unusable form. After unclogging the nozzle, I ran a quick test print of a 20x20x20mm cube. The printer was working! After some tuning in Slic3r and Repetier Host, I’m getting decent print quality, even with my damaged nozzle. I didn’t bother calibrating for the filament, since I only had a few meters of the stuff. 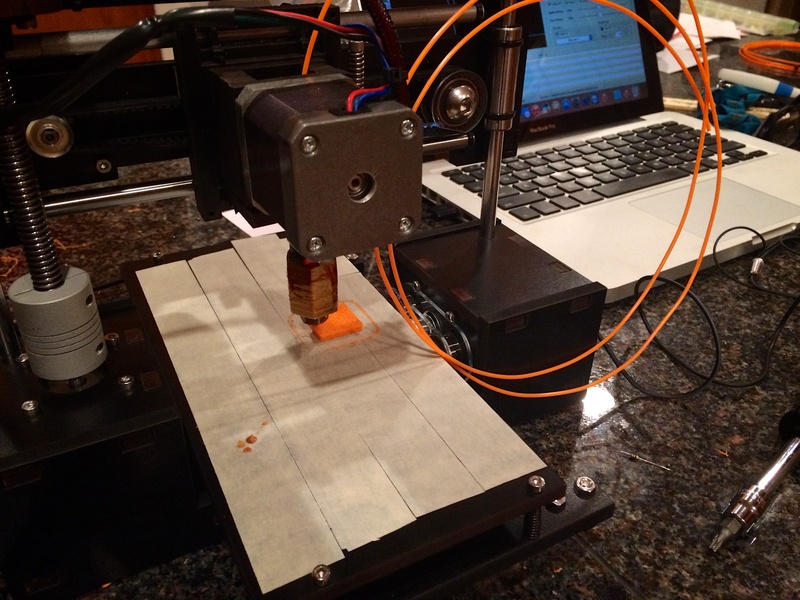 Once my shipment of Hatchbox filament arrives, I’ll calibrate for flowrate and do some temperature tuning. 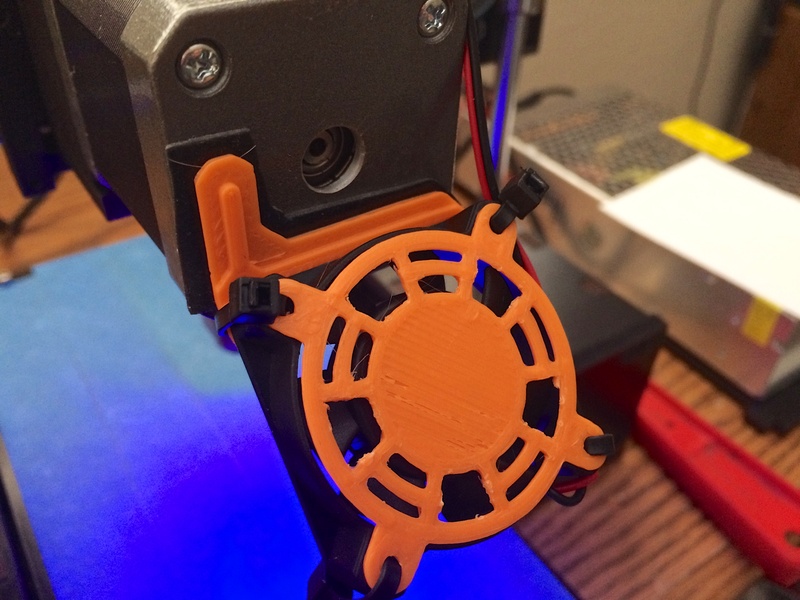 So far, I’ve printed a small fan bracket and fan guard for the 40mm fan that’s included in the kit. I’m pretty happy with the quality of these first-day prints! 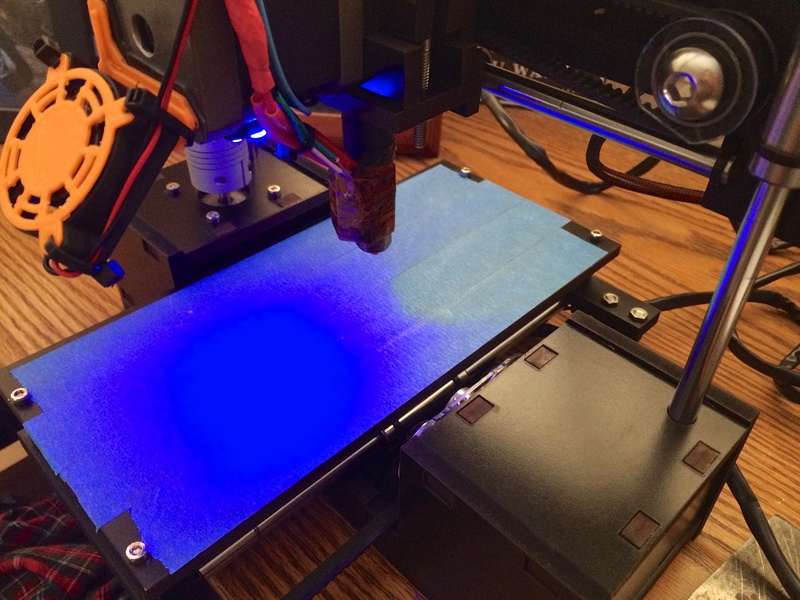 I also added a few ultra-bright blue LEDs under the extruder stepper to light the bed. They’re just tied to a 5V output on the Printrboard’s expansion headers. They illuminate the build platform, and they also do a good job of looking cool. 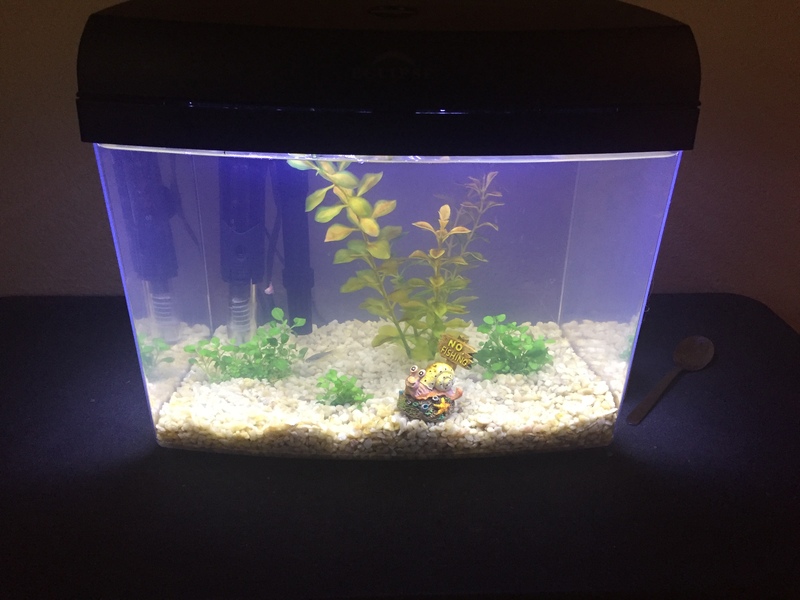 Everyone loves blue LEDs! All in all, I’m really happy with my QU-BD OneUp. The price, arguably the lowest in the industry, is hard to beat. Even though there are some tradeoffs for such an inexpensive printer, I believe what you get for your money is quite good. If you do decide to get this printer, just be prepared for the long wait time before you see it at your front door. QU-BD might be in over their heads in terms of order quantity, but you will eventually get your printer. Even then, it’s probably 8-12 hours away from being able to print anything. As I mentioned earlier, you’d be hard-pressed to find all of these parts on your own for the same price as this kit. Even though the setup isn’t for the faint of heart, it’s more than doable for anyone with a little bit of patience and some basic problem-solving skills. Not to mention that my day one prints rival those of an out-of-box MakerBot, which is pretty impressive. All things aside, I’m happy with my decision to get this printer. Not only is it a good entry-level printer, but I’ve learned a ton about 3D printing. It’s also worth nothing that I’m not affiliated with QU-BD in any way. I just wanted to share my experience with QU-BD and the OneUp so far. 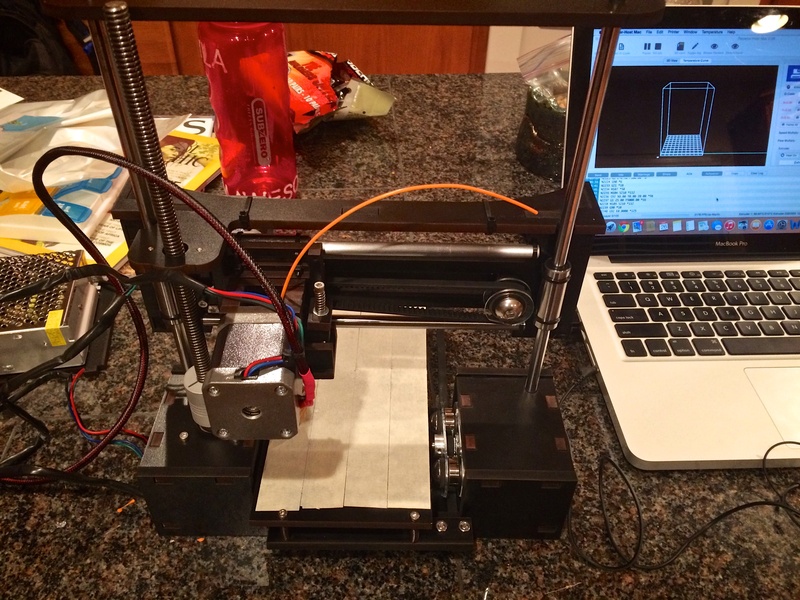 Do you have an experience with QU-BD or any other 3D printer you’d like to share? Leave a comment below. I’d like to hear what you’ve got to say. 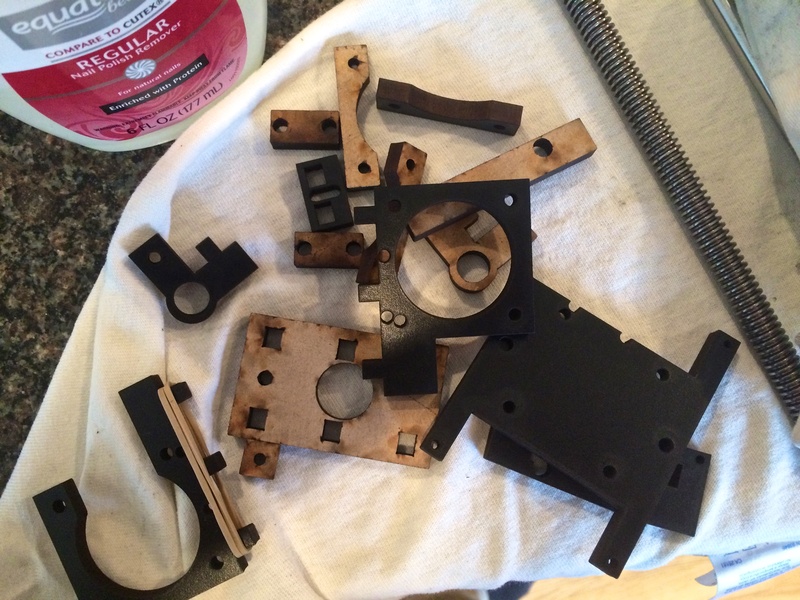 Update 1: I got ahold of QU-BD and asked about a replacement nozzle. Chelsea was super quick to get back to me and very professional. I had a new one sitting at my doorstep in just a few days! The quality of this one is much better and I can verify that the prints are already coming out cleaner than before. Whoo!